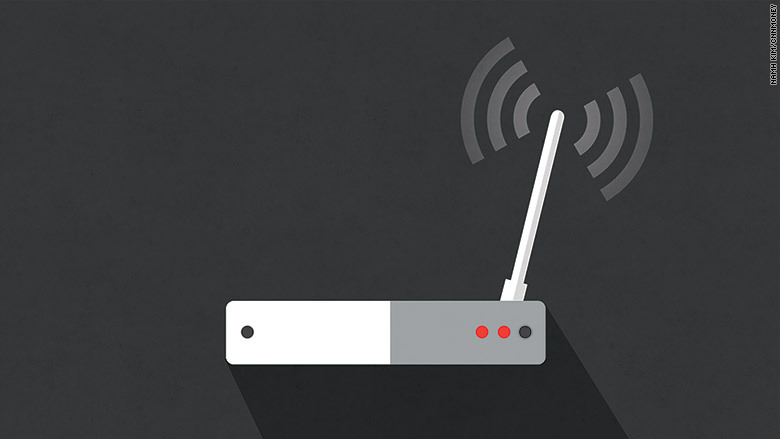 Fewer Americans have high-speed Internet at home than in 2013. Those who don't have broadband service say it's too expensive and that smartphones can help them do everything they need to do online. According to a new study from the Pew Research Center, 67% of Americans have high-speed Internet at home compared to 70% two years ago. Researchers call this "a small but statistically significant difference." They also note that the change has taken place while the number of people who have smartphones and no traditional broadband service at home has risen five percentage points. 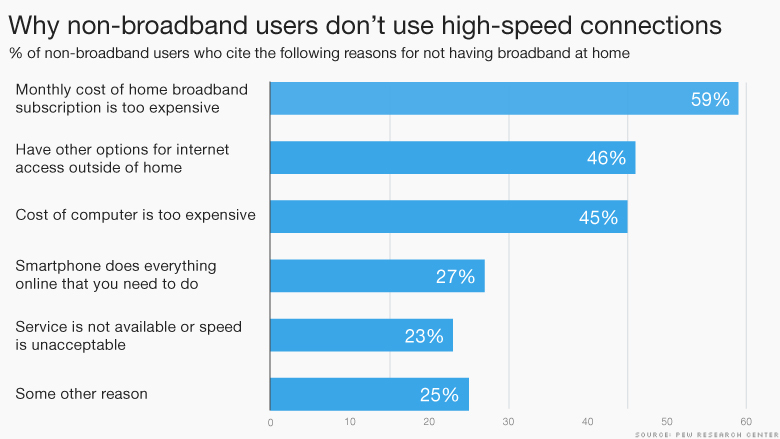 Those who don't have broadband service at home say it's too expensive and that smartphones can help them do everything they need to do online. These numbers are likely worrisome to cable companies, while welcoming to some wireless carriers. The majority of cable providers now have more high-speed Internet customers than TV subscribers. If more people start cutting their broadband service, that would be another blow to an industry already suffering from the cord cutting trend. An even more worrisome stat from the report is the number of people who say they're not interested in getting high-speed Internet at home at all. Among those who told Pew they don't have broadband at home, 70% say they are not interested in getting the service. On the other hand, wireless carriers like AT&T (T) and Verizon (VZ) might be grinning at these results. After all, both have been phasing out unlimited smartphone data plans, while hedging their bets and launching new high-speed Internet services. So are the numbers in Pew's latest report an anomaly or a sign of things to come? "We're not too much into prognostication," senior researcher John Horrigan told CNNMoney on Monday. "We think these patterns are to be watched going forward."